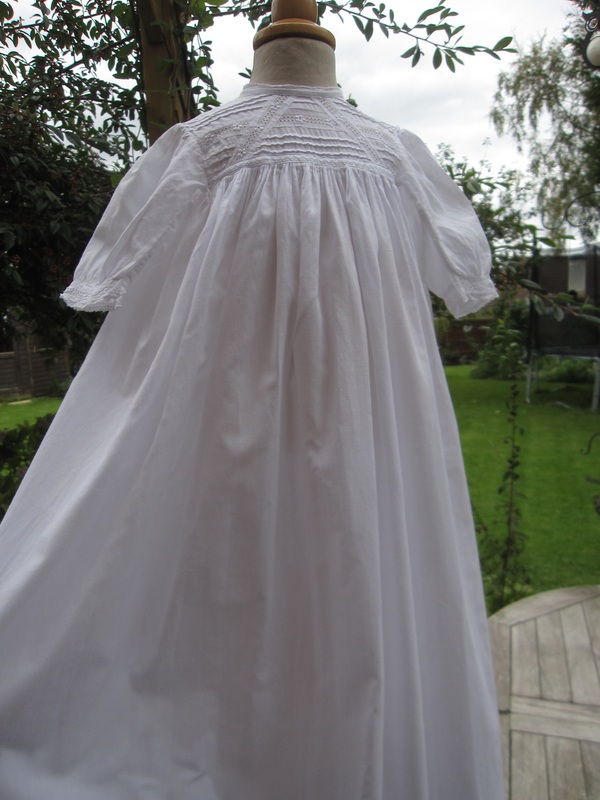 This is an absolutely delightful Edwardian Cotton Baptism Robe, with everything you would expect from the period and in immaculate condition. 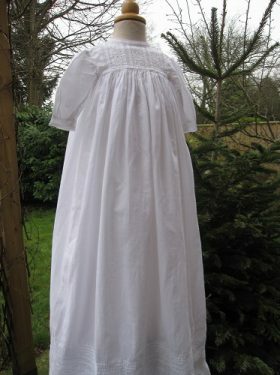 The Amy Baptism Robe is really one of those antique garments that is becoming rare to find. 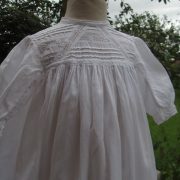 The high necked yoke features a combination of horizontal pintucks with diagonal lace panels on the front. 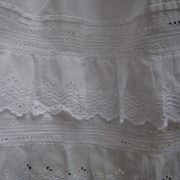 The long sleeves have wonderful lace detail and are edged with narrow lace trim. 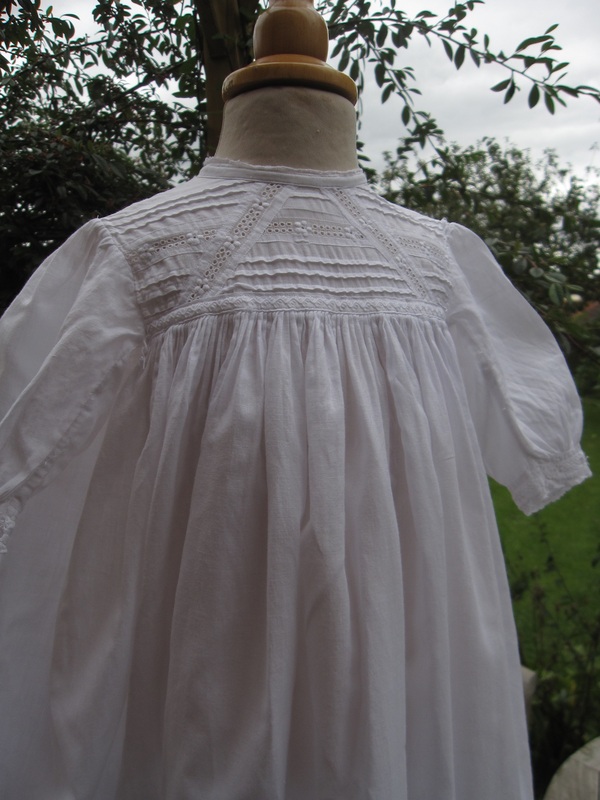 This is replicated at the neckline. 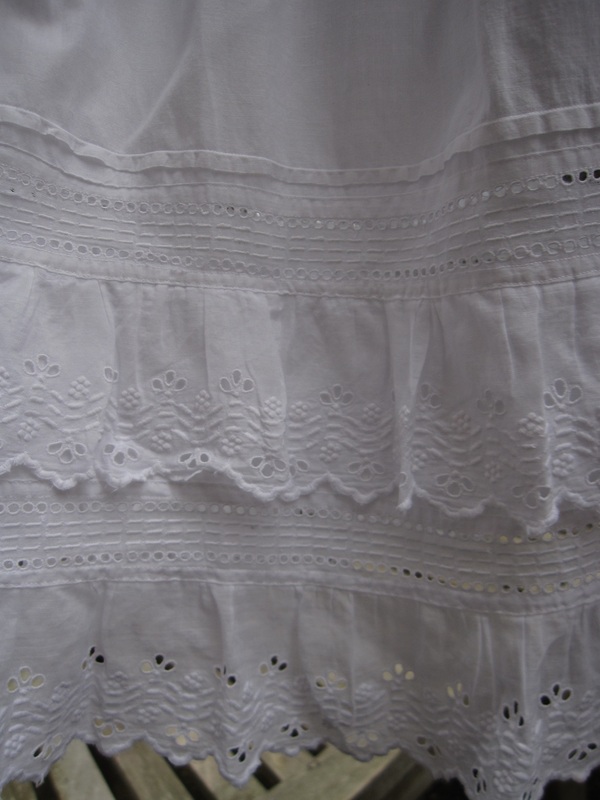 The full skirt is long and flowing and is finished off with a deep hemline of scalloped broderie anglais lace and contrasting broderie insert lace. 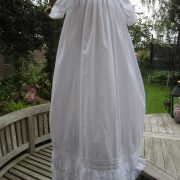 An Edwardian style petticoat is also available from Little Doves. 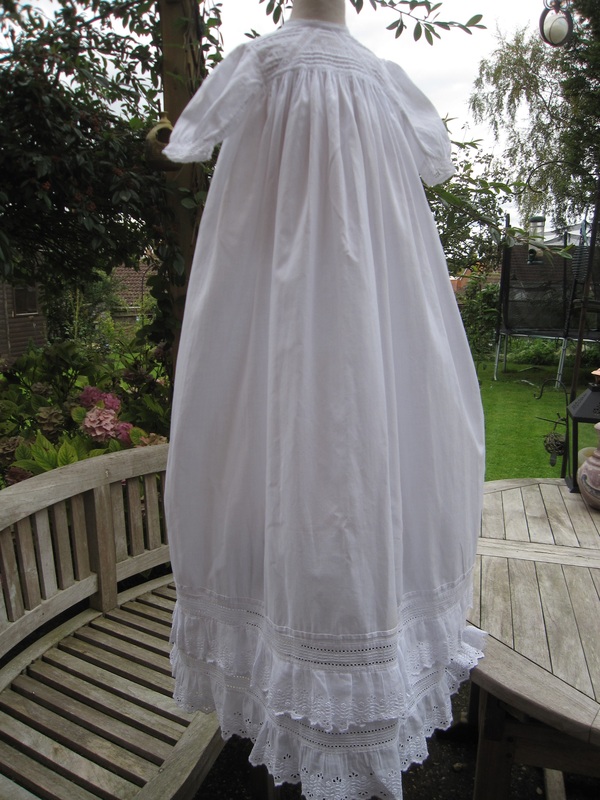 This will finish the outfit off perfectly. 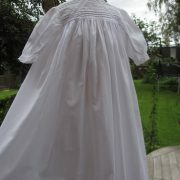 Bonnets, bibs and booties can also be purchased. 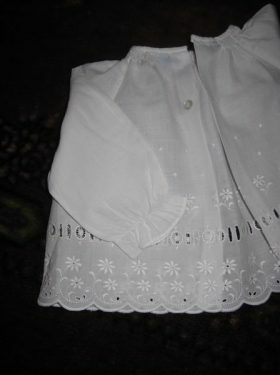 These can be found in our accessories page. Fits an 18 inch chest perfectly. 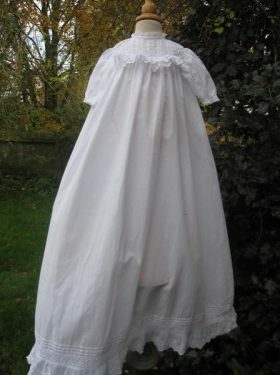 Length 38 inches. 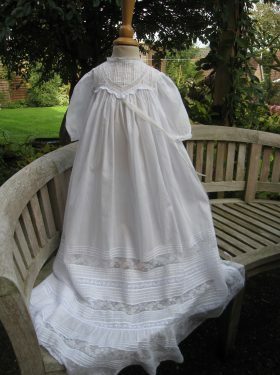 A treasure of a christening gown for both boys and girls.